Developed and published by Capcom. Released on January 24, 2017. Available on Xbox One, PlayStation 4 (reviewed), and PC. Review copy provided by publisher. Resident Evil, as a franchise, has been going through a bit of an identity crisis. Even the spectacular Resident Evil 4 worked against the franchise, simultaneously breathing a new life into the Resident Evil name and setting it on yet another path toward disappointment. Leading up to the announcement of Resident Evil 7, I was prepared to look at the franchise as it was - back when it was actually about survival and horror. It was like a place I had once visited, and while I had fond memories of that place, I could never return. Because that place burned down in a fire. 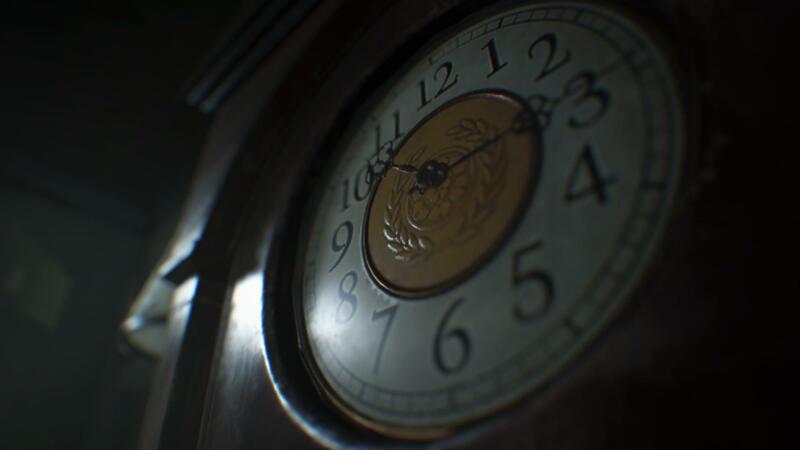 And then, Resident Evil 7 was announced, promising to take the series back to its horror roots. Promising to remind fans of why they fell in love with the games in the first place. I entered the game with skepticism, and left with more optimism in the franchise than I had felt in a very, very long time. 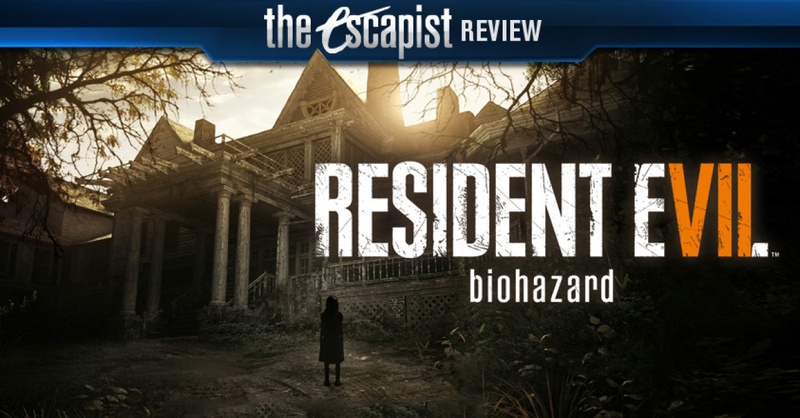 Resident Evil 7: Biohazard places you in control of protagonist Ethan Winters, a man whose three-year-long search for his missing wife, Mia, has finally led him to a dilapidated manor in the Louisiana bayou. It isn't long before Ethan himself has been kidnapped, tortured, and hunted by the homeowners - the Bakers, a repugnant family of cannibals that still managed to be quirky enough to make me laugh. Jack, the father, is extremely in-your-face, with every encounter feeling like I was up against not only him, but also time itself. The mother Marguerite is more subtle and, as a result, more terrifyingly insane, shifting suddenly and dramatically between a lulling, cooing way of speaking to full-blown screeching and threatening to feed you to her pet bugs. With her, you'll have to be a bit more....careful. The son, Lucas, is - well, he's basically exactly what you'd expect the bratty child of undead sadistic psychopaths to be like, not yet bold enough to face you directly, rather leaving sadistic traps for you, like a homeowner trying to capture a pesky rodent. 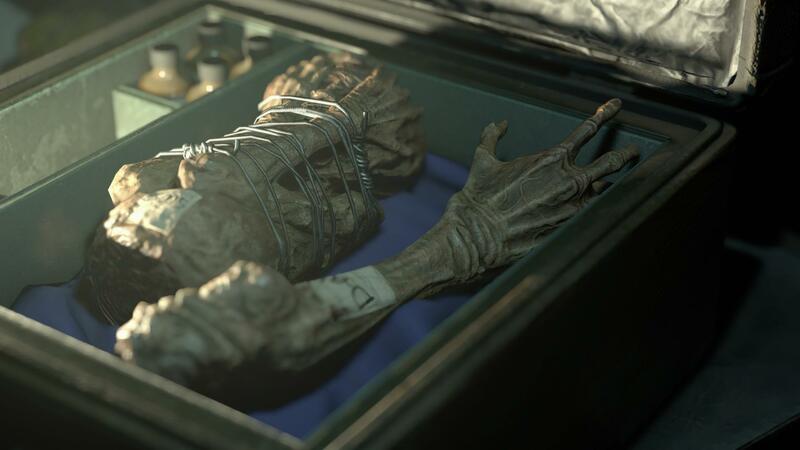 There is no denying that the newest installment in the Resident Evil universe is drawing inspiration from itself, glancing back at the early days when Resident Evil reigned supreme. The days before explosions and capable protagonists. 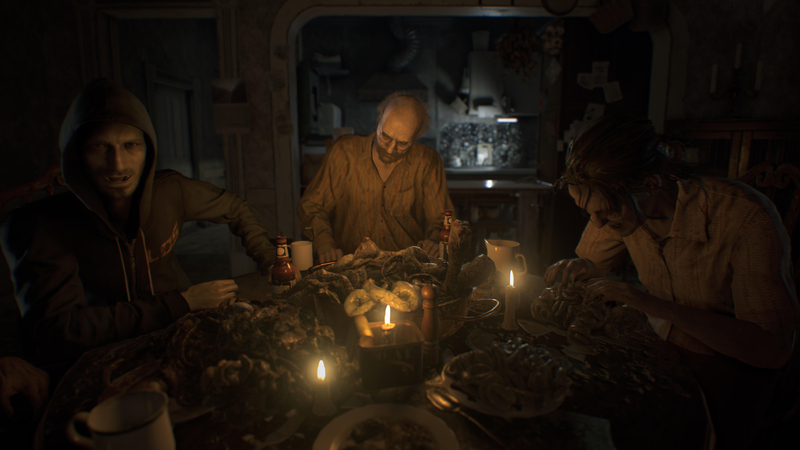 In Resident Evil 7 you are a normal, everyday man. You aren't a super soldier blasting your way through hordes of enemies. You're just a guy - a guy in a really, really messed up situation. Even when you start adding weapons to your inventory, there's always the impression that it's only going to delay the inevitable. This makes the concept of "survival" so much more enticing - you don't really expect your protagonist to be able to survive the horrors he faces. He has to be smart, stealthy, resourceful, and strategic. Combat is notably janky, and it's easy to see that this was intentional - Ethan isn't the type of character that can run and deliver a perfect headshot. Ethan is neither prepared nor equipped to handle what he's stumbled into, and it's up to you, as Ethan, to get out alive in spite of that. Somehow. 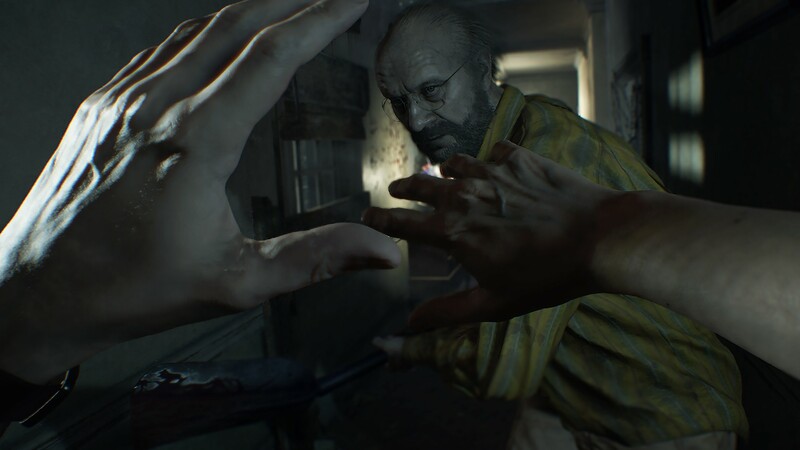 The shift to first person perspective is the biggest change Resident Evil 7 brings with it, and it's difficult not to reflect back on RE4's shift to an over-the-shoulder camera angle. This is a change that individuals will either love or hate, with little room left in the middle. I personally adore it. First person in horror is about more than simply putting you deeper into the role of the character you are controlling - it is also a useful tool in suspenseful games by limiting your line of sight. Looking around corners is riskier, forcing the player to leave themselves exposed, and I found that early on, the enemies that were hunting me were quick to locate me if my glances weren't perfectly timed. And that's not to mention the fact that you're leaving yourself exposed from behind as well. This suspense is heightened by the superb sound quality. As one would expect from a house of its age, every inch of the Bakers' manor creaks and buzzes, and the limited line of sight makes every sound - be it from you, from a fan, or from an enemy waiting just around the corner - feel like a Metallica concert. 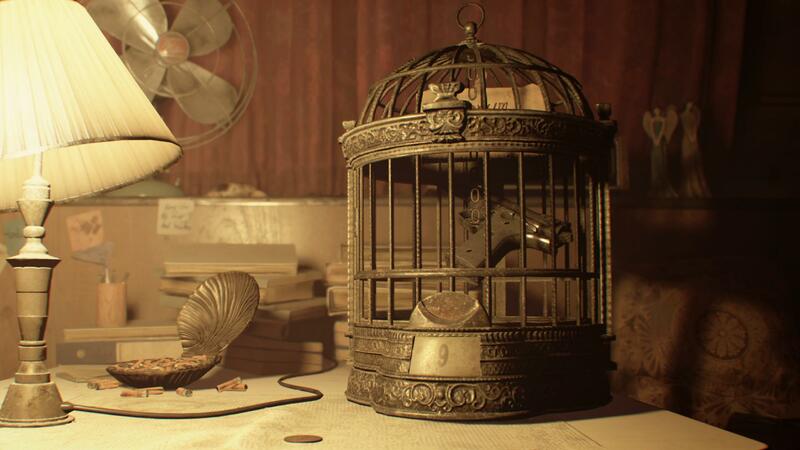 In classic Resident Evil style, much of the suspense comes from conservation of your resources and item management with limited inventory space. What weapons - and accompanying ammunition - will be most beneficial as you move forward? What can you store for later in order to be sure you still have a healthy supply of green herbs for health restoration? And what are you willing to leave behind if you happen to stumble upon a necessary progression item with a full inventory? With the Bakers being so dramatically different in their approaches to you, it's important for you to be dramatically different in your approach to them - and managing both your attention and your items, and adapting to their individual personalities, is critical, particularly when you sprinkle in the Molded - oozey, fungus-like monsters that are resource-draining and difficult to kill. One issue with the game is the simplicity of the puzzles. On the rare occasion you find yourself having to solve a puzzle more complicated than "locate random dog heads," you'll be dealing with making shadows on a wall that are far too easy to solve. There also doesn't ever feel like there's any threat to failure. The most challenging puzzles came as I was up against Lucas, and even then I felt like I was stumbling across more answers than I was actually working to figure them out. Every puzzle, every search for a combination or missing piece of a puzzle, I felt like Capcom was holding my hand just a bit too tight. While you're not likely to end up in any frustrating loops or prolonged stalled progression, I do wish I'd been made to work a little bit harder for some things. While there are no shortage of in-your-face combat opportunities, there's more to survival than fighting or solving puzzles - specifically, knowing when to run away. If you attempt to shoot Jack Baker every time he spots you, you'll end up with no ammunition and probably dead. Knowing when and how to flee is a necessary part of the game, and slightly makes up for the lack of interesting puzzles. The boss fights themselves felt a bit predictable, and during one, I didn't even realize I had participated in a boss fight until after I was done and the character stopped appearing. 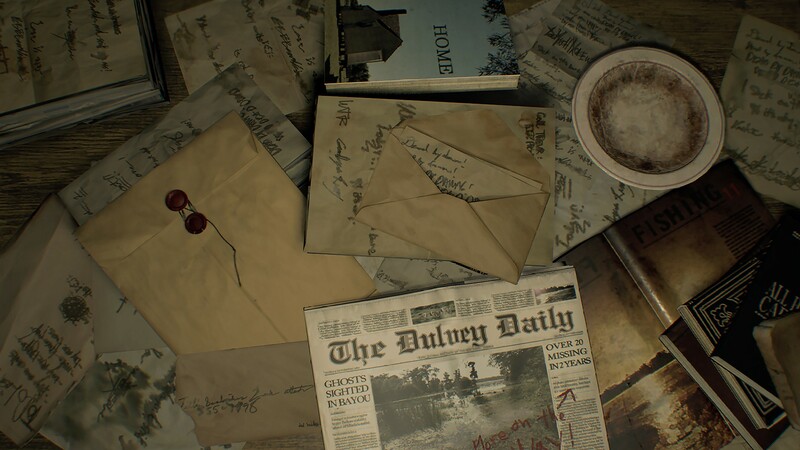 I wish the enemies that stalked me, made me jump at every creak in the old Louisiana manor, could at least put me through a few frustrated deaths before I could finally take them down, especially since the Bakers are by far the most interesting foes in the game. 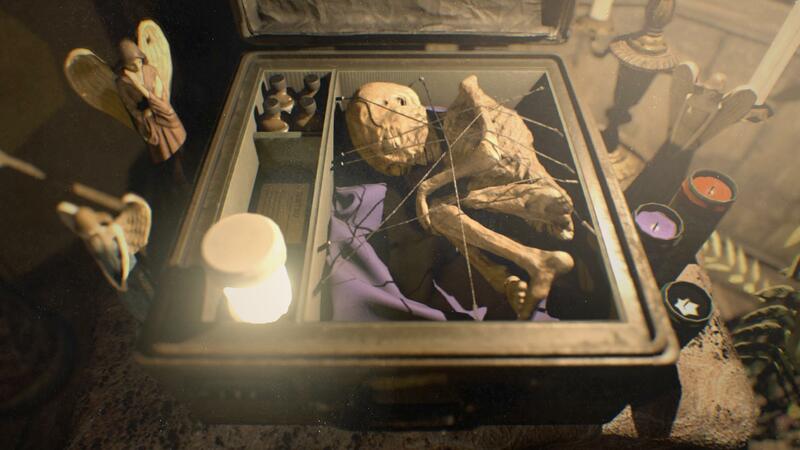 What was most interesting about the Baker home is that, underneath the layers of rot, decay, and dried blood, there are remnants of the family that once was. Portraits, trophies, a random football helmet. This isn't a family that was always so insane. There were two stories driving me forward - Ethan's story and the Baker family's story. While much was explained, Capcom left just enough loose ends to justify another entry without leaving a frustrating cliffhanger. The game is short, but in truth ends just as it's getting dangerously close to overstaying its welcome. 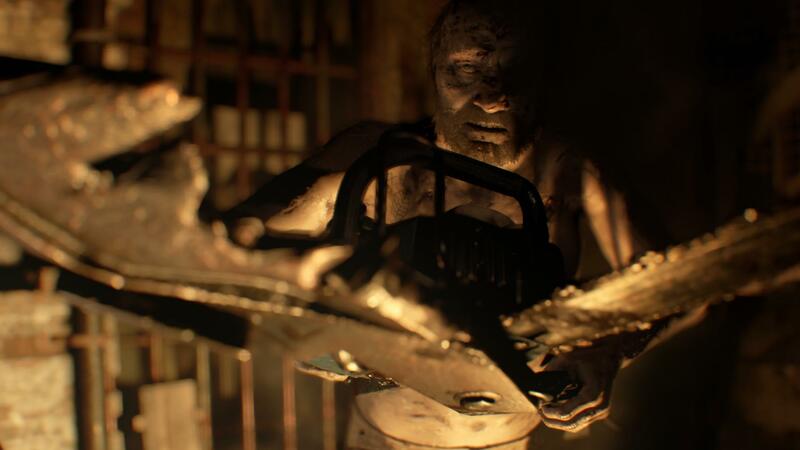 Resident Evil 7 feels more like a standalone game than a seventh installment - players new to the franchise will be able to jump right in without confusion regarding any of the dialogue or progression of the story. 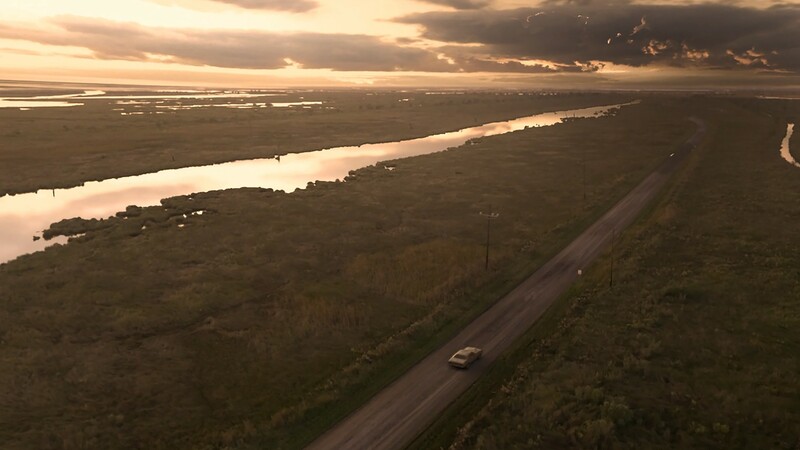 However, for veterans of the series there will be quite a bit that is familiar - backtracking, exploration, dread, discovery, and perhaps even a night or two without much sleep. 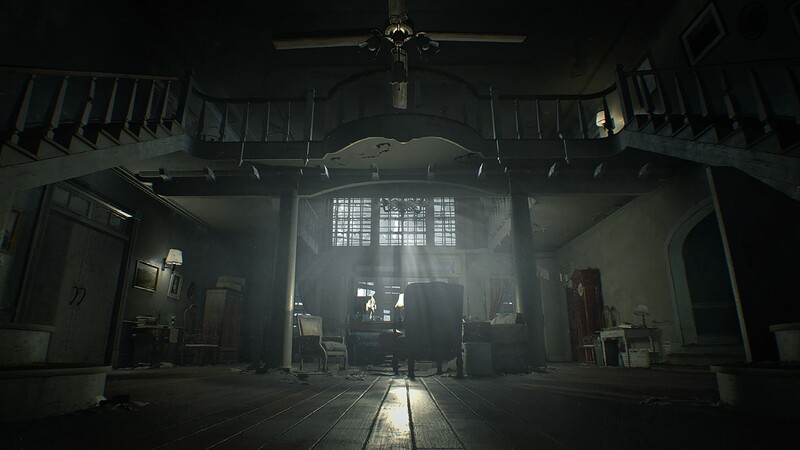 Bottom Line: Resident Evil 7 is in your face, behind your back, and under your skin horror, and it features the most suspenseful, terrifying setting I've seen since the Spencer Mansion. 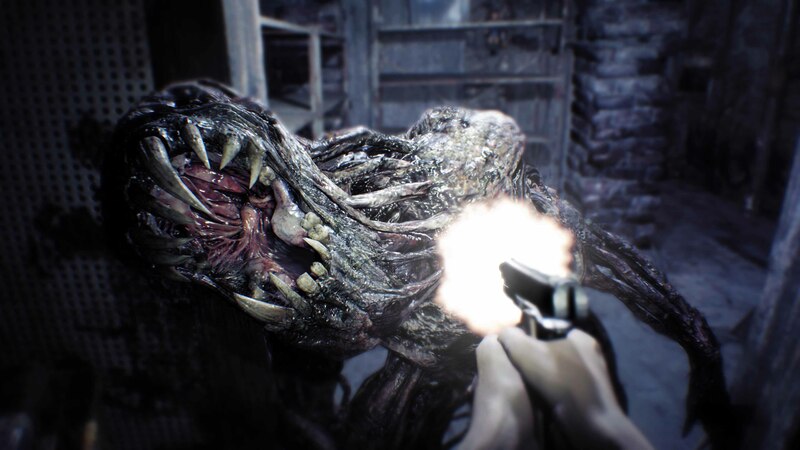 While I have plenty of complaints - unspectacular boss fights and forgettable puzzles - none of these things detracts from the overall atmospheric horror, enjoyable gameplay, and brilliant antagonists that you love to hate. It's everything the series should have been up to this point, and I honestly would have been satisfied with less. 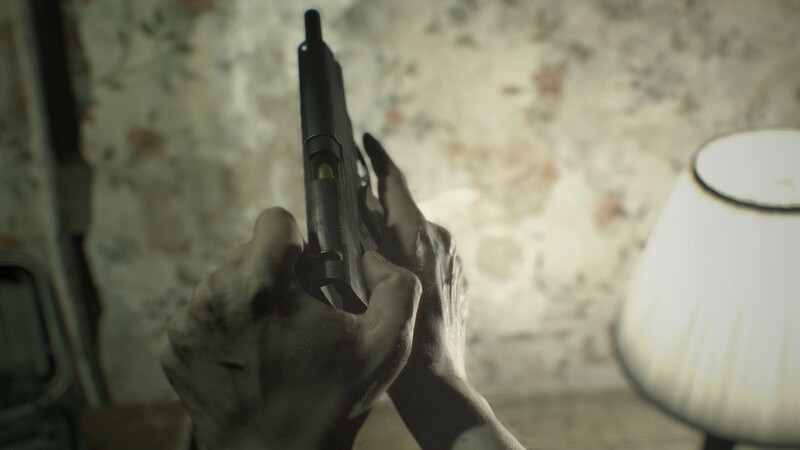 Recommendation: Resident Evil 7 is a welcome change of pace for a once great franchise that has been on a downward spiral since the release of Resident Evil 4. It's welcoming to newcomers who don't want 20 years worth of lore, and perfect for fans of the franchise who have been waiting for it to refocus on horror.